December | 2009 | Chuc Chimes In: Today's latest tips to make your minutes count! Who will you find at the bottom of The Grand Canyon? As you know, I’ve written three posts in this blog about lessons we can learn at the Grand Canyon. Today is the 25th wedding anniversary for my wife and me, and — as part of that — here’s a true story I tell audiences that might be of help to you. Please first permit me to explain that, when my wife and I were dating, she told me she didn’t like her name (Velma), and I told her I had always liked that name. I asked her why she didn’t like her name and she told me her family had talked about it as if it was an “old woman name” and, because of that, her name had always made her feel old and boring. A few days later I was telling her about the love I have for The Grand Canyon and I said, “You know, if you really want to understand me, I’d like for you to go to The Grand Canyon with me.” I explained to her (just as I’ve said to you in this blog) that I think The Grand Canyon is a very special place where a person can get a totally new and even life-changing perspective on almost anything. I said that, if she’d go to The Grand Canyon with me, we’d drive to Page, Arizona, where we’d get on a raft, and then we’d ride that raft for 179 miles down the Colorado River where we’d see some of nature’s most beautiful sights and raft over a variety of challenging rapids. I told her that we’d then float through the deepest portion of The Grand Canyon and that we’d camp on the sand at the bottom of the canyon for five nights. I pointed out that on our final day we’d raft over Lava Falls, the roughest waterfall in the United States, and, after that, we’d get picked up by a helicopter and lifted out of the canyon. And I concluded by telling her how much I would love for her to share that experience with me. Velma quickly said, “I could never do that,” and I asked her why. She said, “ I don’t know how to swim.” I immediately told her that I’d look after her and that she wouldn’t have to worry about anything if she went with me. Please now look at the picture at the top of this blog posting and you’ll see that she made her decision. Clearly, it was Jennifer, not Velma, who went to the bottom of The Grand Canyon with me. As you can see, Jennifer not only accepted my invitation, she took the risk presented to her and rafted with me on the river through the canyon. She even rafted over Lava Falls with me and trusted me enough to swim (even though she had never been swimming before) in the beautiful blue water at the junction of the Colorado River and the Little Colorado River. When she returned from the canyon, she changed her name to Jennifer to remind herself to continue being the woman she always wanted to be. The Grand Canyon is an awesome, beautiful, spiritual, and timeless place. You can visit it in person and/or you can discover it inside yourself. I suggest that, if anything is holding you back from getting what you want for yourself, you might want to act on it today. Jennifer found her personal, transforming experience to be very worthwhile and you are apt to be just as happy about your life changing experience too. As for me, think how lucky I’ve been to be able to enjoy being married to such a beautiful and fascinating woman as Jennifer – a woman who didn’t stop growing after that 5-Day Grand Canyon experience, but who has continued to grow, blossom, and change every single day for 25 years! Does this make sense? Pleases put any comments you might have right here. A reminder from The Grand Canyon: Plans are Important! 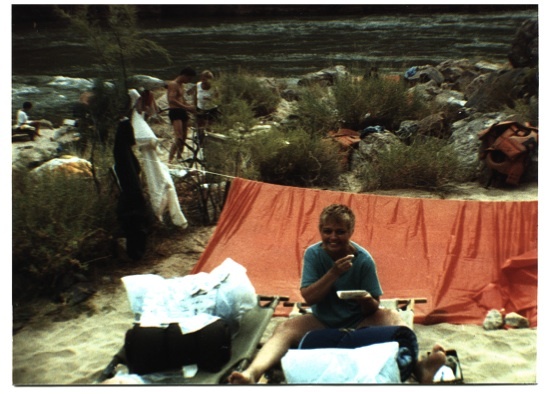 As I said previously, I always smile when I think about rafting through the Grand Canyon on the Colorado River. One reason I smile is that I always recall how quickly people change their minds when rafting there. And I propose that there’s a lesson in this for us. The Colorado River is dammed up at Glen Canyon Dam near Page, Arizona. On the Eastern edge of the Glen Canyon Dam you have Glen Canyon Reservoir and on the western edge of the dam you have the Colorado River that runs through the Grand Canyon. Employees from the Department of Interior, depending on the environmental situation and time of year, release water in varying amounts from the bottom of Glen Canyon Dam so there is a steady flow of water to the Colorado River. That water tends to be very cold since it is released from the bottom of Glen Canyon Dam. 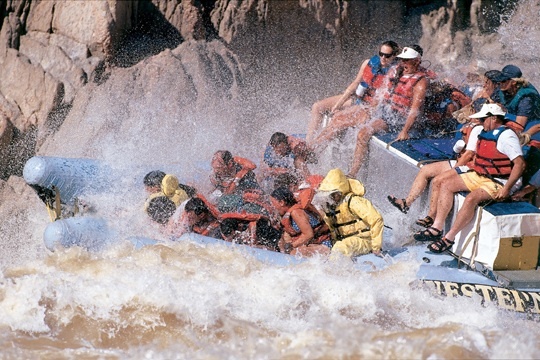 People (like me) who enjoy rafting on the Colorado River through the Grand Canyon only do their rafting in the warmer times of the year. Sometimes those temperatures are often as warm as 120 degrees F.
All of this yelling goes on until people on the raft begin to realize that these hot and cold temperature changes are part of the Grand Canyon experience and then the people on the rafts begin to limit their need for back and forth motion and to appreciate the entire experience for what it is, a trip forward through the canyon, not an experience which they need to keep controlling. I offer this back and forth description as a lesson for our days. Most of us are often doing one thing and then, because of an interruption, we need to switch to something else. That bothers a lot of people, especially those people who are not following an overall plan. They simply keep switching back and forth (being busy) and therefore get nothing done. I propose that when you follow a specific plan (like moving forward down the Colorado River), there’s no reason to try to grab control of every moment. Simply limit the number of back and forth changes by prioritizing the ones you need to take care of. In other words, go with the flow of your plan so you keep you moving yourself forward towards to your specified goals. Does this make sense? Please let me have your comments. A time management lesson that’s easy to learn at The Grand Canyon. I explained in the last post on this blog why I consider hiking at (or rafting through) The Grand Canyon as an ultimate time management experience. Here’s another lesson you can quickly learn at The Grand Canyon. Please picture yourself at The Grand Canyon. Now please look around and notice how big and timeless it is. Notice the variety of formations and colors. Please now remember that for centuries time was thought of in cyclical terms. Storms came; storms went. Seasons came; seasons went. These will continue whether you have a clock or not. Man invented time to deal with our linear needs of schedules and precise appointments (i.e., the need to pay taxes, for example). 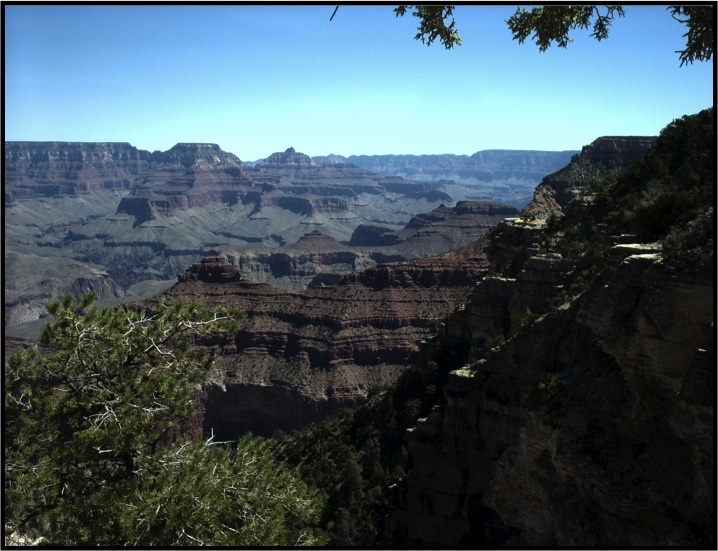 Now realize that the variety of rock formations and colors at The Grand Canyon were created by seasons. In other words, a clock did not create the formations and colors. I’m not asking you or anyone in my audiences to say “Happy New Year” to be silly. I’m asking you to say the words now so you’ll know that — since today is New Years Day — you have the opportunity to make a New Year resolution now. Question: Have you ever made a New Year resolution and then broken it? Most people are just like you. They make a resolution (lose 12 pounds, for example) and then later (by the end of January, for example) they break the resolution and, consequently, they then wait until the following year to make a new resolution. I suggest that, rather than wait for a full year to schedule your resolution again, why not celebrate 52 New Weeks. This then enables you to reschedule your resolutions sooner so you keep them from slipping through the cracks and thereby have a greater likelihood of achieving your dream. I’m not a travel guide so I must admit that you don’t have to go to The Grand Canyon to learn this lesson. You can visualize the canyon in your mind – or look at it in a picture or painting. Either way, I believe in my heart that you’ll anchor the above lesson in your heart more easily if you experience The Grand Canyon in person – for yourself!